We offer a range of appointment times to patients over 5 mornings and 4 afternoons per week. During the above times there is full access for face to face and telephone contact with a receptionist. 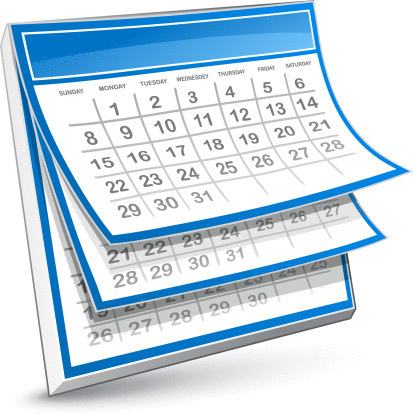 Appointments are normally available for between two to four weeks in advance dependant upon time of year. Appointment slots are for 10 minutes to discuss a single medical problem. If you intend to discuss several issues you should advise the receptionist who may check with the doctor to see if you need to be allocated a longer appointment slot. If the Dr feels unable to deal with all your issues in that slot they may ask you to return at a later date to deal with any outstanding issues not fully explored. When you telephone the practice to ask for an appointment with a doctor the receptionist will may you for a brief indication of your problem so that she can, where applicable, direct you to the to most appropriate service to meet your need. It is not always the doctor who is the best person to provide the service you require e.g. our nurse does most of our routine chronic disease care such as Asthma Checks, Blood Pressure reviews and so forth. If you prefer not to disclose your medical problem with the receptionist, your privacy will be respected. You will then be offered a routine appointment with the GP of your choice. It should be remembered not all GP’s work on every day. It is possible therefore if you feel you need to be seen on that day, that you may be more restricted in your choices of Doctor. We use a system called advanced access to monitor our appointments. This means that regularly throughout the day and week the appointments are monitored and further slots can often be added according to demand peaks. It does mean that all times of all days are not necessarily bookable in advance of the same day as that slot. Whilst we accept we cannot satisfy all people all of the time, we do welcome constructive comments to help us refine our appointment system. If you feel you cannot wait and want to be assessed urgently (ie, the same day) and there are no appointments left, you may be advised that the doctor may call you back to discuss your problem and decide the best course of action. If you need urgent medical attention when we are closed, the number to ring is 01942 829911. However, if you simply need advice or are unsure if your need is urgent, you can always phone NHS 111 on 111. Where you want an appointment with the practice nurse you should advise the receptionist of the reason (eg, blood pressure check, diabetic review, etc) so that she can allocate the appropriate time for your appointment. For example, a blood pressure check usually takes 10 minutes, however, an interim diabetic review normally takes 20 minutes whilst a full review can take up to 30 minutes. If for any reason you are unable to keep your appointment or no longer need it, please let us know as soon as possible so that it can be reallocated. Please remember that there is always a shortage of appointments and when you fail to attend you have prevented someone else from being seen in your place.